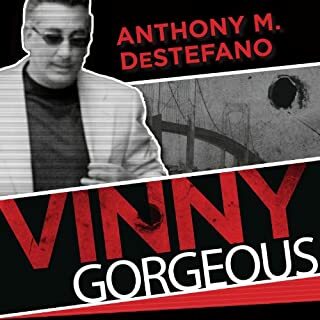 Would you consider the audio edition of Vinny Gorgeous to be better than the print version? Haven't read print version, but definitely enjoyed the audio version a lot. Very well written. What was one of the most memorable moments of Vinny Gorgeous? No characters, great narration though. 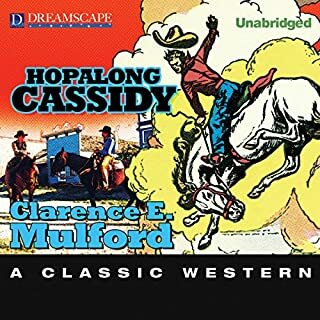 Hopalong Cassidy, the iconic western cowboy hero conceived by Clarence Mulford, was immortalized in a highly popular film series starring William Boyd from 1935-1948. A tough-talking and violent character in print, Hopalong Cassidy was remade into a clean-cut screen hero who roamed the West with his sidekicks and fought villains who took advantage of the weak. Here Cassidy is drawn as Mulford originally conceived; rough-and-tumble, foul-mouthed, and thriving on brawls and gunplay. Absolutely. Mumford is an outstanding writer. Such romance in his descriptions - he paints a picture of the old west that comes straight from personal experience. The poetry of his language is almost impossible to match these days. Besides that - his characters are so rich. Picture the group in Young Guns (Estevez, Sutherland, Phillips, Sheen, etc.) but more gritty and bad-*ss; while at the same time hilarious with their brotherly digs and unwavering commitment to each other. The view into Hopalong's softer side. Seeing Hopalong, the baddest of the bad, become a complete mess around a lady is pretty funny. Thought I was listening to Sam Elliot narrate for a bit! He has a very rich, grit to his voice that really captures the essence of an Old West tale. Great stuff! 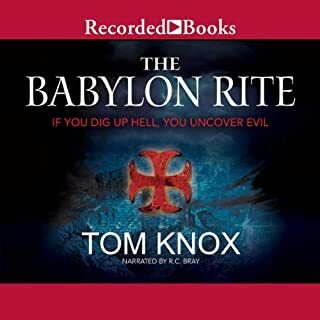 The new high-concept thriller from Tom Knox, which weaves together past and present terrors in an intense page-turner If you dig up hell, you uncover evil! Edinburgh: a famous Templar historian dies mysteriously at the Rosslyn chapel, setting journalist Adam Blackwood on a quest for the truth to the Templar sites of Europe. Meanwhile, in London, several young people from the international party set commit suicide in very bizarre circumstances. Unreal... in a GOOD Way!!! If you could sum up The Babylon Rite in three words, what would they be? This story is all over the place geographically and historically. Imagine Raiders of the Lost Ark, Se7en, The DaVinci Code, and one of Led Zeppelin's mystical/mythical songs all mixed together with ancient Peruvian rituals, organic hallucinogenic drugs, and a who what why and when non-stop race unravel more than one mystery. Yes - big Bray fan. He really upped his game with this one - try to picture one guy performing a conversation among a Scotswoman, an Australian bloke, two English cops, paranoid elderly witch doctors and more all while using his own voice to narrate. It's pretty astounding not to mention that he never detracts from the story with his accents or delivery. Five hundred years have passed since the Earth shifted on its axis - a catastrophic event that wiped out civilization and released magic back to Earth. Now, a dark age shrouds our world once more. Journey into a future rife with witches, conjurers, and mythical creatures that have returned from the nether realm. Follow three intertwined fates: Paine, a young man hunted by Confederation soldiers; Brahm, the woman that slaughtered his mother, and in whose body the woman's soul now resides; and John, a friar. An amazing story, well worth my book credit. What was one of the most memorable moments of The Second Coming? Not any one scene in particular. I just really liked the descriptions of when they were traveling on horseback. Burton did a great job of painting the picture of weary travelers on a quest. I liked Leezle (sp?). Creepy. Set a great tone for where the world has gone after what the author calls "The Shift." Also, the Obek leader. Narrator was able to make him fearsome yet personable. Great job. Not really. But there's some really great humor laced throughout that catches you off guard. Narrator does a great job with the dry humor and sarcasm. I agree with the previous reviewer. Well worth the credit. The author has created a really intriguing world of old and new. Would definitely recommend this audiobook. When Aquila Robinson and her friend Naomi find a magical ring at the bottom of a stony creek, strange things begin to happen. The sound of shuffling feet emerges from the woods, followed closely by a low moaning, "brraaaiiinnsss", that sends the girls running and begins an adventure that could only come from the mind of a seven-year-old author. 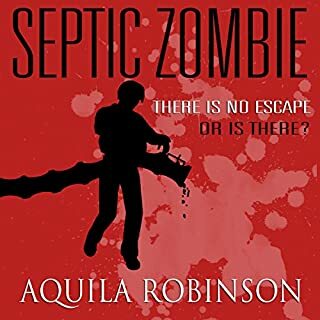 What made the experience of listening to Septic Zombie: A Short Story Written by a Seven-Year-Old Home Schooled Girl the most enjoyable? The 7 year old mind that created it! Such talent and such fun!! Hope this contributes to getting that puppy!!! I no longer exist. My kidnapping, breaking and corruption at the hands of the half-human, half-demon Nephilim began the journey to nothingness. I had hoped to one day rejoin my loved ones in the outside world, but before I realized it, 20 years had passed. Time is a distance I cannot traverse. If there is any memory of me, it is distant. Worse, the spirit of Nephil, used my connection with the continent to decimate the surface world. I've done horrible things in the past, but I'm now responsible for the deaths of billions. Best book of the saga so far. 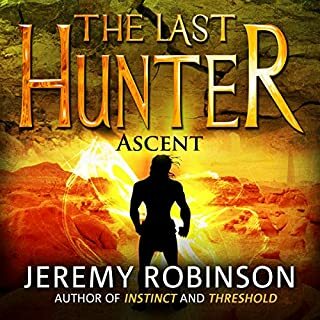 What did you love best about The Last Hunter - Ascent: The Antarktos Saga, Book 3? Both Descent and Pursuit were nicely full of characters, back story, development, etc. Ascent is great too, but it seemed to lag a bit at times while using 5 words where 3 would've done just fine. That's not to say that it's overwritten, but Robinson does seem to want to make sure we know the back story a little too much sometimes. Other than that, this is what I would call a great 'bridge' to what's coming next - as well as very nicely tied into Antarktos Rising. To sum it up - not my favorite in the TLH Saga thus far, but definitely a must and a fun listen for TLH fans. 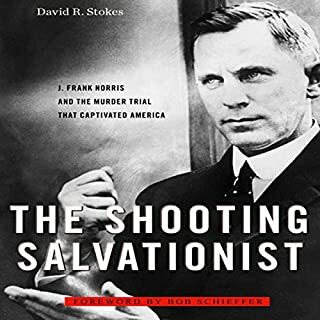 The Shooting Salvationist chronicles what may be the most famous story you have never heard. In the 1920's, the Reverend J. Frank Norris railed against vice and conspiracies he saw everywhere to a congregation of more than 10,000 at First Baptist Church in Fort Worth, Texas, the largest congregation in America, the first "megachurch". What made the experience of listening to The Shooting Salvationist the most enjoyable? The story itself. I believe it's dubbed as the most interesting true story you've never heard. You got that right. I am not used to hearing a Non-fiction book 'acted' out. He put voices to everyone involved in the case, outside of the case, even those unnamed that had a random quote here and there. It definitely helped bring the people, Ft. Worth, and era back to life. Especially Rev. J. Frank Norris. Out of curiosity I found some old audio of a few of his sermons to see if Mr. Bray was even close - turns out... he was almost spot on. The delivery of the sermons especially. Firey and passionate. It was hard not to feel like I was in the pews!! This was absolutely great. I'm a fan of the shows they put up on A&E and Bio and am always enthralled when a 'new' old story rears its head. (I actually saw the author speak of the book on Book TV before or just after its release). The Shooting Salvationist is one of the most interesting ones I've come across in a long time. Thanks so much to Rev. David R. Stokes for his obvious passion for this part of American history and for his incredible research to bring it to light for the rest of us. From Burton to Gilliam for the YA & Adult alike! I enjoyed his almost 'in-the-know' delivery; like the stranger-from-the-outskirts-that's-really-a-gentle-soul that all the parents say to keep away from simply because they don't understand him... but he has one heck of a tale to tell!!! Sounds like he was even part of the goings on at some point. Like he was a witness to it. Good stuff. It's been a long time since I've read (heard) a book that took me back to my childhood. And I don't mean because it was like the books I read when I was young, but it actually made me feel like I was 10 or 12 years old again. The little guy inside me had an absolutely blast listening to this book! Since the dawn of Harry Potter, there have been a lot of books that followed in its path (Percy Jackson, Eragon, and the like). I'd love it if Scourge were to receive the same type of attention. This is truly groundbreaking stuff here that I can't highly recommend enough. It's put together so well and is so vivid. While similar in nature to the above-mentioned books, it also stands apart in it's creativity. The best way I can put it is if Terry Gilliam would direct Scourge as a movie, it could easily be his "Hugo." I'm making it my mission to get this book into every area library it's that good. I really think kids from age 8 or 9 up through 14 or 15 would get a great thrill out of it. I think parents would find it equally as exciting. The humor is wity and wry - very 'English' and accessible to anyone with a sense of humor. PLEASE DON'T PASS THIS ONE UP!!! 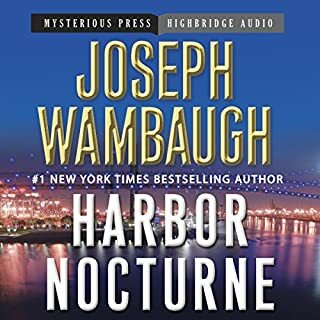 What did you love best about Harbor Nocturne? I've always loved the grit, humor and realism of the Hollywood Station stories by Joseph Wambaugh. But of the several audiobooks I've listened to of Wambaugh's work, narrator R.C. Bray definitely got it. How true to human emotions it is; especially the use of humor. Humor helps aid in everything from sadness to loneliness to pure elation (obviously!). And Joseph Wambaugh is a natural master at it. The politically incorrect banter between the cops is incredibly refreshing. Nice to see that people aren't afraid to 'cross the lines' because they know that it's all in good fun and embracing our differences as well as our respective stereotypes - can be exhilaratingly hilarious and freeing. His tongue-in-cheek take definitely created a different vision of the Hollywood Station books for me. It's hard to bring a character to life more than Joseph Wambaugh, but R.C. Bray definitely held his own - he fleshed them out nicely. The accents were great too!!! This is one of my things that borders on a pet peeve but it'd be great if there was some consistency in the narrator for the 'Station' books. Not knocking the others by any means, but if I had my say I'd nominate R.C. Bray! Yes - but having a full time job, and a family... kinda put the kaibash on that! HA! A truly great listen - enjoy!!! 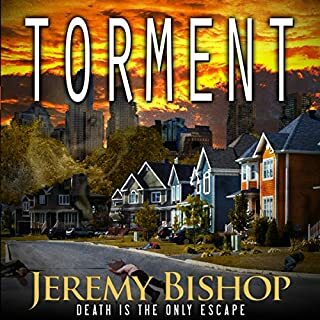 Where does TORMENT rank among all the audiobooks you’ve listened to so far? 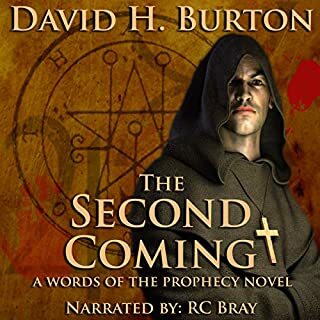 Out of all the audiobooks I've listened to throughout my life, it's hard to rank it among Cormac McCarthy, Stephen King and the like - but I have to say that despite all of the negative feedback this audiobook has gotten (which, I admit, made me think twice about getting it) - I definitely rank it among those I'd listen to more than once... happily. Being a fan of both Bishop (Jeremy Robinson) and narrator RC Bray ultimately won out over the naysayers. If you're looking for an awe-inspiring life-changer, this isn't it. It's an adventure with a really freaky take on the undead (I'm sooorrrry!!!) that proves to be highly entertaining and totally worth while. I definitely recommend it!!! The undead/zombies. In most movies today they're portrayed as ravenous spider monkeys who come standard with parkour in their blood (not knocking it - totally love it!!) but what they have in Torment (without giving too much away) is a very unique twist. Also the journey from the beginning to the end. That's not me saying I "like the whole thing" - I'm just saying that from where it starts out to where it ends up is a great twist! Yes - but I think describing it would ruin it. Jeremy Bishop (aka Jeremy Robinson) seems to put out a book every other day and, having read a bunch of them, I can't help but be amazed at how thorough he is with each. Nothing is sacrificed in his expediency. The storyline, the characters.... all fleshed out and solid. Outstanding work, Jeremy! Also, I've now listened to several audiobooks narrated by R.C. 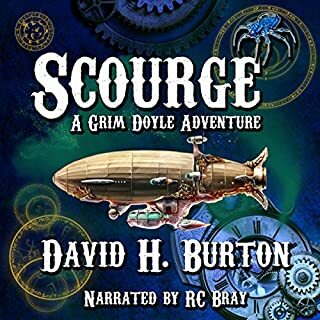 Bray and I have to say that he is definitely becoming one of my favorite narrators. He has a very approachable and personable manner of narrating and makes some very interesting character voice choices that really enhance the story.